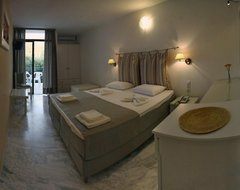 The hotel is situated 200 m away from the wonderful beach of Petra and 350 m from the centre of the small town thus offering easy access on foot. The location of the hotel also provides unique moments of tranquillity and relaxation. The bus station is around 200 m away and Mytilene International Airport is approximately 50 km from the hotel. 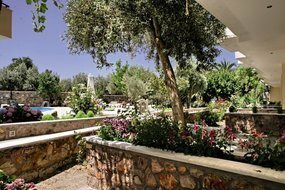 The friendly little hotel with a homely feel is set within lovely colourful flower gardens and greenery, thoughtfully designed and maintained. 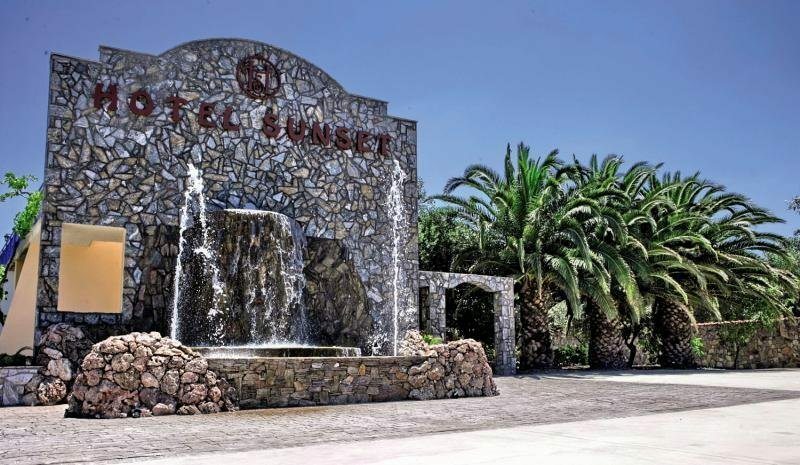 Renovated in 2009, the air-conditioned hotel comprises 45 rooms and offers a lobby, hotel safe, TV lounge, café, bar and restaurant. There is also a children's playground. WLAN Internet access is available and those arriving by car may leave their vehicle in the car park. 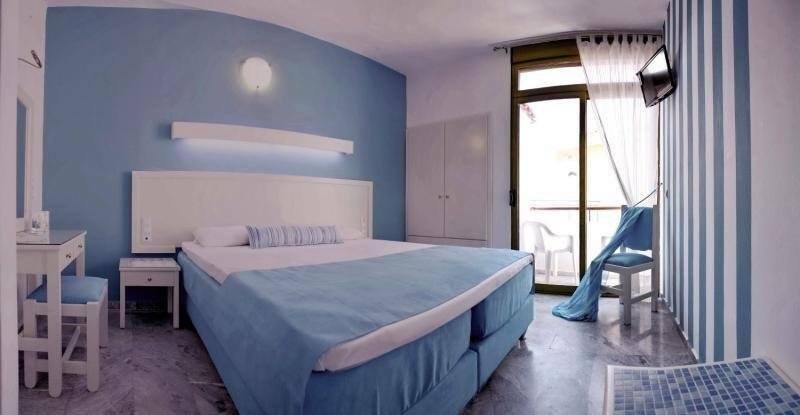 The hotel comprises rooms and suites all equipped with individually regulated air conditioning and heating, a satellite TV, radio, double bed, direct dial telephone, fridge and either a balcony or terrace. The en suite bathroom is equipped with a WC and a shower. The rooms also have a kitchenette. 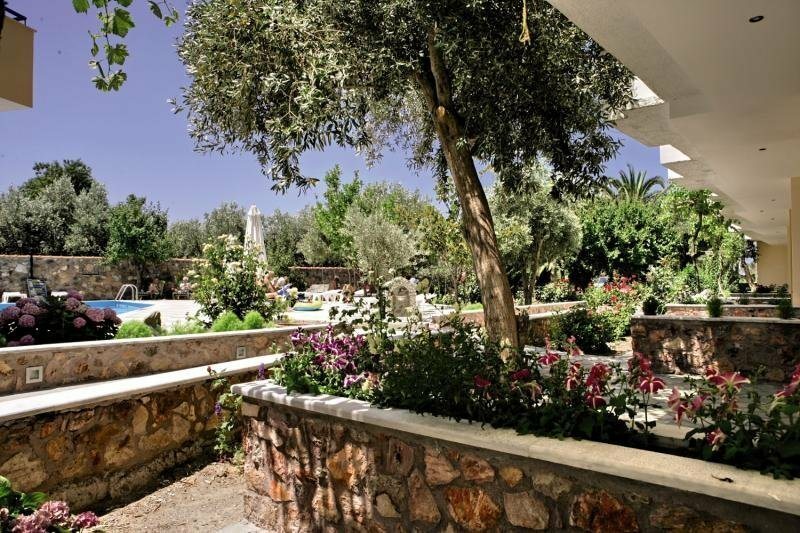 The hotel's outdoor swimming pool, surrounded by a fantastic garden, offers unique moments of entertainment and joy. Younger guests can enjoy the children's swimming area. Refreshments are provided at the poolside snack bar. Sun loungers and parasols are available on the sun terrace and may be hired at the beach. 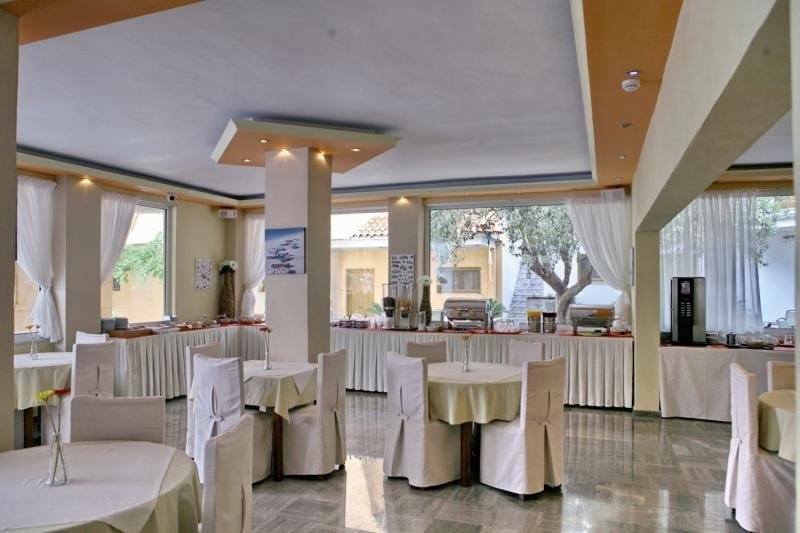 The hotel restaurant offers breakfast, lunch and dinner options.